The two day festival in Warrington's Victoria Park will also feature Jake Bugg, Kodaline, Blossoms, The Coral, Editors and more... Get full ticket info here. 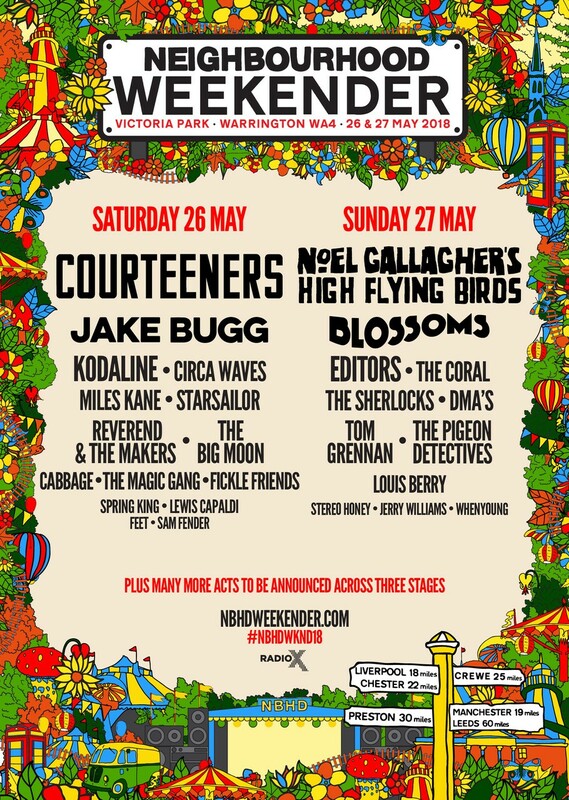 Courteeners and Noel Gallagher’s High Flying Birds have been announced as headliners of next year’s Neighbourhood Weekender. The former Oasis man is set to release his third solo album Who Built The Moon later this month, so the show will be an opportunity to hear the new songs live. Meanwhile, Courteeners make their full live return following their biggest headline show to date at Emirates Old Trafford earlier this year and frontman Liam Fray’s sold out acoustic tour last month. Following the announcement of the brand new outdoor festival, the amazing line-up also includes acclaimed live artists Blossoms, Jake Bugg, Kodaline, Editors, The Coral, Circa Waves, Miles Kane, The Sherlocks, Starsailor, Reverend And The Makers, DMA’s and The Pigeon Detectives. Also joining the bill are some hot new artists, including Tom Grennan, The Big Moon, Fickle Friends, Cabbage, Spring King, Louis Berry, The Magic Gang and many more. More artists will be unveiled soon. Neighbourhood Weekender promises an excellent weekend of live music across three stages along with a hub of local food and drink stalls.